Born as a classic pilsener lager, Citra-Pils gets the added bonus of a lively, citrusy aroma from Citra hops to create a fascinating blend of pilsener and IPA sensibilities. The result is a complex beer which is clean, crisp, and refreshing. 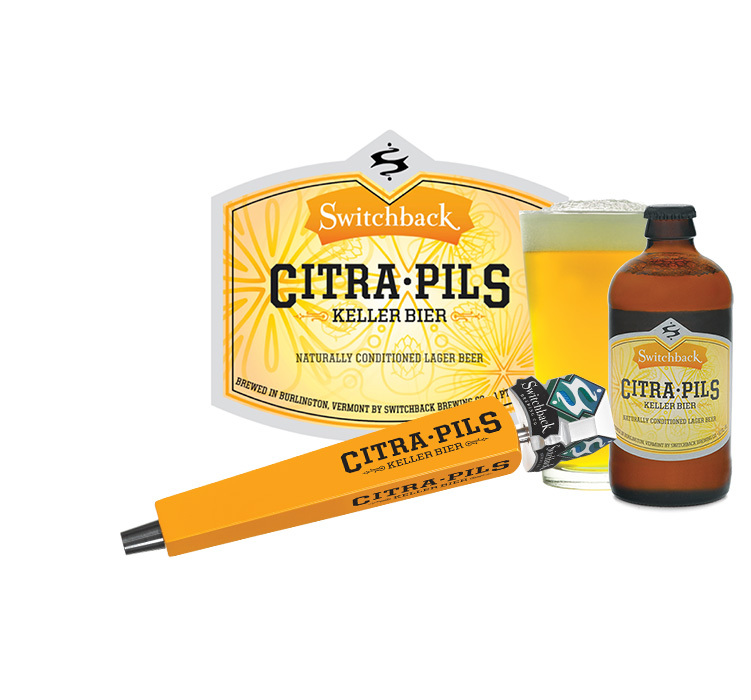 Citra-Pils is our special “twist” on the classic pilsener style of lager beer. We brew this lager in the most traditional way, using only Light Pils malt and Saaz hops. After a six-week lagering process, we dry hop this beer with a blend of Citra and Saaz hops. The bright lemony citrus notes of the Citra complement the noble Saaz character perfectly, yielding a delightfully refreshing pilsener with a decidedly nontraditional twist. All Switchback beers are brewed in Burlington, Vermont and are carbonated during fermentation by the yeast itself resulting in a 100% naturally conditioned beer. After aging, we simply move the beer to the keg or bottle, leaving it unfiltered for the freshest, fullest, most natural flavor possible.